Valves are the primary fluid flow control device employed in the industrial process control arena. The widely varied applications and requirements have led to an almost daunting array of vendors. valves and options from which to choose. For your particular project or application, the selection candidate pool can be shrunk down to a manageable size if you first select the type of valve that will best suit your needs. Valves are generally used to start, stop, redirect, or throttle (control at some intermediate level) the flow of a fluid. They may also be tasked with preventing fluid flow from going in an undesirable direction or regulating pressure. Industrial flow control valve types are generally classified according to the structure or arrangement within the valve body that provides the obstruction to fluid flow. Some of the common types are ball, butterfly, gate, globe, and plug. Surely there are more valve types, and this article is not intended to list them all. Some of our previous blogs have discussed selection considerations for ball, butterfly, and gate valves. 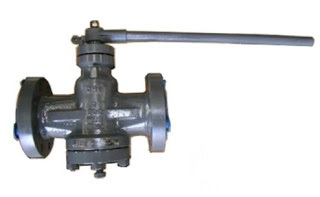 Let’s look at one of the oldest valve types, the plug valve. 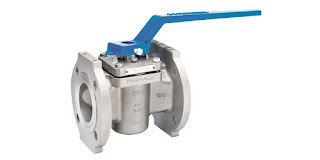 Plug valves are similar to ball and butterfly valves, with their rotational movement of 90 degrees from the fully open to the closed positions. The “plug” in a plug valve is installed in the flow path within the valve body and rotated by means of a stem extending to the exterior of the body. Plugs are often tapered toward the bottom and are fitted to a seating surface in the valve body cavity. An opening through the plug, the port, can be shaped to provide particular flow characteristics. There are numerous variants of the basic plug valve which may make it suitable for particular applications. 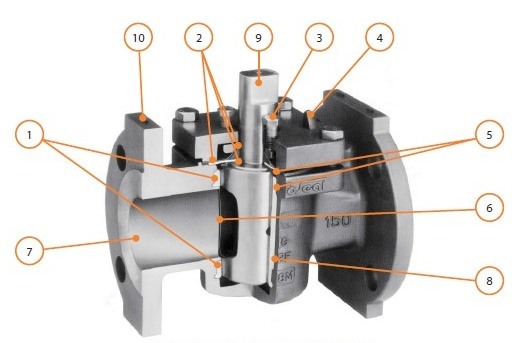 One common variant is the lined plug valve, with an interior lining of material suited to provide a measure of corrosion resistance for special media applications. What are the general positives for plug valve application? What are some potential negatives for plug valves? Higher friction in the closure mechanism may require comparatively higher operating torque than other valve types. Generally not well suited for throttling applications without special design modifications. Rapid shutoff may not be suitable for some applications where hammering may occur. As part of your own assessment and selection process, share your application requirements and concerns with an experienced sales engineer. Their product knowledge and application experience can provide the additional input needed to make the best choice for your project.